Jill DeWit: And I’m Jill DeWit broadcasting from gorgeous sunny California. Steven Butala: Today, Jill and I, talk about how and why, and why it’s important to establish daily consistent content to grow your follower … Your following group. Jill DeWit: It’s the daily part that gets annoying. Steven Butala: We do it with the podcast. Jill DeWit: But you go to do it. Steven Butala: Yeah, we actually … Both of us have a lot to say about this because truth told it’s not our favorite thing. Steven Butala: But it has to get done. Jill DeWit: It does, and it pays off. Steven Butala: It does pay off. It’s just … It crazy pays off. Jill DeWit: And then when you get to a certain point you can actually hand it off, so we can talk about that too. Steven Butala: We are almost at that point. Almost. Steven Butala: It’s been years. Three year. Nope, no. It has been probably five years. Jill DeWit: I stopped counting. Steven Butala: I mean this is show 763. Jill DeWit: Oh, this. Oh, for the podcast daily? Steven Butala: And then we started doing all this stuff way before that until we discovered that a podcast suits us good. That’s part of what I would talk about. Jill DeWit: For about three years … Well, which summer … Oh, wow. We’ve been doing this for about three years. Steven Butala: Summer. ‘Cause it’s summer of ’18, and we started the summer of ’15. Jill DeWit: Summer of ’15. And then it was like rocky. It was a little bit … ‘Cause we were trying to take it … You know what we tried to do? We tried to take it, immediately outsource it, and found out that doesn’t work. We had to do the show in house. Jill DeWit: That’s a good thing to talk about too. Jill DeWit: Who you can’t outsource, and when you can’t outsource, and all that. Steven Butala: And if you’re a chronic control freak like Jill and I, it’s hard to outsource anything. Jill DeWit: Oh, my goodness. Yes. Steven Butala: Until your head blows up. Jill DeWit: Exactly. And somebody is crying. Steven Butala: It’s usually not me, or you. Jill DeWit: It’s usually me. Steven Butala: No, it’s not you either. Jill DeWit: It used to be me. Steven Butala: Maybe once or twice. Steven Butala: I cried probably more than twice. You just don’t know it. I go and do it in the bathroom. Jill DeWit: That’s true. Everybody cried. You know you’re doing it right if somebody’s crying. Jill DeWit: Yes, exactly. Well. Jill DeWit: Oh, I knew it. I knew it then. I just had to really take sit back and … oh wait a minute. It’s not like you’re being shallow. You have to find the right people. And no matter how much you pay them, you know … when fire someone that’s not doing a good job you are helping them not do. Jill DeWit: Because the bottom line is what’s most important. Steven Butala: We do a lot of stuff definitely but one thing totally agree on is the fact that we do really well with people who are complete and totally independent self starters. Our best employees don’t even work in the office anymore. They start there and then just have all this stuff to do every day. And they probably do it in their pajamas. We have one person who works for us, one of the original employees, she hasn’t been in the office in probably two or three years. Probably two years. Jill DeWit: She comes in for visit once in a while. Steven Butala: Doesn’t work in the same state. Steven Butala: In fact, she is I know she is. Steven Butala: Before we get into it though let’s take a question posted by one of our members on Land Investers dot com online community, it’s free. Steven Butala: Yes, for sure. Steven Butala: Because I will answer this this far. What he’s talking about is judicial foreclosure states. There’s administrative foreclosure, judicial foreclosure … it’s too beyond the scope for us to go into what this is all about. But what it means is if you default on a loan, it’s easier for most people to think about it from a house standpoint. You buy a house, go to Bank of America and you get a loan. For whatever reason you default on the loan. They have to follow a very strict procedure to get the house back and if you live in a judicial foreclosure state, there’s a strict procedure on how they have to do it. Jill DeWit: As a seller. Steven Butala: No, no. That’s good. Jill DeWit: Jeff wants to be able to go … he wants to cut to the chase which this is what we do too. Is there a list there because I want to know all the ones I can easily do this and not have to go through all the steps. So I only have a land contract. So if anybody stops paying me for whatever reason I can just take the land back period and not do anything and just resell it and move on. Because that’s the point. Steven Butala: So I and understand your point of wanting a list, because I gravitate toward that kind of thing too but the straight answer is no, we don’t have a list. A lot of this stuff changes all the time. What I do instead, I have a checklist before we send the mail out in which areas and how and why. And first I with sales. First they start with, oh maybe Montana. Doesn’t look like there’s a lot of Montana acreage out there in between 20 and 40 acres based on land watch and land and farm and I start there. Okay, good it looks like we can sell it because we know we can buy it. We always know we can buy it cheap. Now I know we can sell it. Then I say “well okay, if we’re going to do terms sales to avoid paperwork, do I need to file … do I need to do a public report like I do in Arizona? Is there a bulk sales law that there is in Arizona?” And I start to make my way down through these … the legal portion of it. Because none of this matters unless you know you’re going to make a bunch of money. Steven Butala: So, start with that. I know you want a list of the 36 states and then go from there but I would start with mine. In fact, we have a show two days from now coming up with financial goals are always first, and then you work out all of the other stuff after that. So it kind of falls into that. Anyway, continue with the question. Steven Butala: I sound like a TV host. All the kids say “Dad, you sound so happy you’re not really that happy. But you sound happy on the podcast. Why can’t you be like that all of life?” They all say that. Steven Butala: Great report card son let’s have some ice cream. That’s what they want. Steven Butala: That’s what everybody wants. Jill DeWit: Everybody wants that. To continue Jeff’s question. Also, I hear a lot of podcasts and read a lot of material that land investors have the land contract set up that on a certain day the person is late on the payment and in X amount of days it would send a letter saying they have until X day before it is foreclosed. Then when this day hits normally I hear people say that they then put it on the market again. And the last question is, isn’t it state by state on how long you have to wait before you put it on the market? Is there a list of state by state that you have to wait? Steven Butala: Again with the list of states. Jill DeWit: I did read a federal law says it most be 120 days, maybe I’m confused. Thank you so much for your help on this topic. Steven Butala: It’s a good … this is like Masters degree slash PhD level stuff here. Jill DeWit: I like that he’s really thinking ahead on this too. I understand, I do … this is how I gravitate too. I don’t want to do all the research. Can we just cut to the chase? Because I know what I can do in this state, I know what I can do in that state and this state. So I’m going to hang out because in each of those states I have enough counties to work with. I’m going to be very happy for several years. Steven Butala: What I love about your approach here, Jeff, is that like you, like me want to get you arms around the whole market and do a ton of research and then you’re so informed you know that when you send out the mailer and where’s going out you just know what’s going to happen. You’re looking straight into a crystal ball. You can see what’s going to happen from the money standpoint, the legal standpoint and the whole thing. That said, you can’t … stuff still is always going to wrong period. You just have to mentally prepare that things happen like that. Are there Federal real estate rules? Yes. Specifically regarding subdivisions and things like that. I don’t think there is a Federal foreclosure process. I think it’s all state by state. I think. Steven Butala: But start with where you really know you’re going to make some dough. Steven Butala: Here’s why. If you make 30 or 40 thousands bucks on a deal. A lot of stuff can go wrong and you’re still going to be okay. Steven Butala: If you’re to make five thousand or less or four thousand or less, nobody really cares. There’s not enough meat on the bones for lawyers to get involved and all that. So, practice with some smaller properties, less say five acre … my favorite terms deals are buy a five acre property for 500 to 1500 dollars. Sell it for 15,000 because it’s worth probably 40 on terms for a real small short, I don’t know, five year period, let’s say. And then when you know that’s all going to work the financial piece of that, and it will, make sure that you have a foreclosure plan because the truth of the matter is between 70 and 90 percent of these deals, they never get paid off. 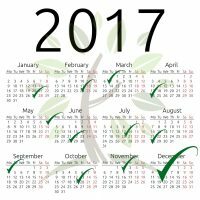 In my experience if a property gets paid off on a term situation it’s because they really want it bad and they within the next six to eight months they come calling and say “Hey, if I just want to pay this off on my credit card or something, can you give me a discount?” Which is the answer is always yes. Jill DeWit: Can I run one more thing by you here? This is one of the things you have to think about too when you’re deciding the properties. Do I want to be a terms guy or do I want to be a cash guy? Because, huh, gee those cash people never have to think about any of this stuff. Nope, they really don’t. So that’s one of the reasons why we do … the only times we do terms properties anymore it’s something that we kind of want to hang on to. We kind of think that we might want it some day. So might [inaudible 00:11:00] because I know that the chances are I’m still have it some day. And, I’m not concerned about the process or how long it’s going to take to get it back and then I can use it again. I don’t really care. So, this is a really good thing to think about. If you’re hesitating, like wow she’s sitting with these terms payments. Look all of the stuff I really do have to think about and all the work that goes in to it in managing the payments and keeping up with the buyers and when their credit cards default calling them back and saying “hey we need a new card on file” something like that. You have to have a conversation with yourself and decide do you really want to go down that path. Jill DeWit: There’s nothing wrong with either way, there just different. Steven Butala: Or both, would have been my experience. Either you’re a cash person or you’re a terms person and … you hit on it perfectly. What it really comes down to is what your financial goals are. Jill and I for whatever reason are very, very good at … in fact I would argue, I do not know anyone better. I don’t care how large the real estate company is, whether they buy skyscrapers or not are great at buying property. So I think I will say I spend at least 10 thousand hours. There’s a whole 10 thousand hours thing. So with both combined spend way more than that. We’re just very set up to buy property really cheep, mark it up and sell it. Jill DeWit: Yank it out. Jill DeWit: It’ll take less money to avoid this stuff. I am good with that. Steven Butala: Because there’s always another deal around the corner for us. There’s always another deal tomorrow. And so, a lot of years ago that was my goal. Many, many, many years ago and to it pretty quickly doing terms deals. But that’s not a goal anymore. Steven Butala: Our goal is way beyond that. Our goal now is if I just made half a million dollars per deal and did one or two deals a month and clear a million dollars a month, that’s our goal right now. So terms doesn’t make sense for us. Steven Butala: So my whole point of it is this, start with your financial goals. Jill DeWit: And if you’re financial goals are to wrap up faster you’re going to be a cash guy. Jill DeWit: Yeah, boy I heard that one. Steven Butala: Me too. Because it’s usually coming out of my mouth. Jill DeWit: It’s just another zero. Steven Butala: Anything, what we eat, none of that. Steven Butala: Today’s topic “Establish daily consistent content”. This is the meat of the show. What the heck does that mean, Jill? Jill DeWit: What I find funny is it took us 15 minutes even just to get to the meat of the show. Steven Butala: What’s wrong with us today? Jill DeWit: That’s okay. We’re just chatty, I guess. Steven Butala: We are chatty today. Jill DeWit: Establishing daily consistent content. Doesn’t that sound boring? It is. Does it sound hard? Steven Butala: Well we’re doing it right now. Jill DeWit: Sometimes it is. Steven Butala: Literally, right now we’re establishing our daily consistent content. Steven Butala: So it doesn’t have to be boring. Jill DeWit: Anything daily. Whether it’s gong to the gym, or doing a podcast or posting property, it’s work. Steven Butala: Oh yes your daily stuff is work. ey I’m the first one to say I want to goof off all the time. Can I? Nope, can’t. So you have to … this show is really not about even our business and what we do. This is anything you do. Daily consistency is the key. You’re going to fall off your diet, you got to show up to the office to keep your job. You have to parent the kids seven days a week. Steven Butala: You got to show up for your marriage that’s for sure. Jill DeWit: Yeah, your marriage, heh heh. No. I know. But that too. You have to keep plugging along even if you don’t have any goals to improve or get better, you just want to maintain your status quo. It still takes work every single day. But if you do it consistently you will find that you will get better. Things will become easier, I think. Steven Butala: Yo know it’s funny because the people that I … I don’t follow very many people on social media. But, the ones that I do have nothing to do with the content. Nothing to do with the industry that they’re in and everything to do with how they present themselves and their attitude. If they present good content … I follow a couple of politicians like Bill Gates. I follow few people that in completely unrelated industries that we are and not industries that I even want to hae anything to do with, the stuff that they say is funny and it’s interesting and brief. That’s what I’m talking about. That’s how you … forget about real estate nobody cares about that. So some funny cool stuff and they will buy property from you eventually. That’s my whole point of this. You’re right the meat of the show is shorter than the intro. Jill DeWit: Well okay. So what do you mean … we talk about the daily consistent content as your life and everything so. Say as a land saler … so what … land saler. Hah, I just made a new word up. I like that. I’m a land saler. Steven Butala: How do you spell it? Jill DeWit: I’m a wholesaler. Well it’s like a wholesaler of land. They are land saler. Steven Butala: Oh, I thought it was sail. 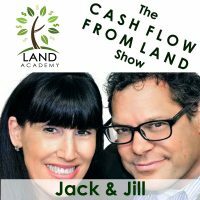 So, what would you say to a member or someone who’s flipping land or flipping properties … you want them to use daily consistent content to gain people to follow them and then by the way you just happen to showcase the land that you are flipping? Steven Butala: Yeah, I don’t even know if you have to showcase it. But [inaudible 00:17:28] traffic to your website. It all starts with having a website. For instance, there’s a really cool graphic and GIFs and all kinds of things in the news about land that are really spectacularly amazing to me. Quite honestly, I don’t think I do this enough. The top 100 landowners in the country. I mean that’s fascinating to me. There’s all kinds of stuff going on with population movement in migration and which states people move into. Which states people move out of. Even statistics on how many pieces of land are available to purchase right now that are on the MLS in Manhattan, New York. So, there’s just tons of stuff that you only want to make a five minute commitment to doing Facebook post, that’s 15 minutes set-up and maybe a five minute commitment. Just go on the internet and find some cool and fresh new stats. Maybe even subscribe to other people who are doing it and share it and forward it. There’s no real commitment there. But, man I’ll tell ya, if it’s good stuff and you have to be really interested in it. If you’re not personally interested then it’s kind of silly. Steven Butala: Yeah, you’re going to come out that way. Like just to it to do it. Steven Butala: Like the shell. Jill DeWit: I’m sharing information about the US census and how much people have submitted their responses. That’s stupid, no one wants to hear that. Steven Butala: And you were here in 1989. Steven Butala: I was not, but I’ll tell you that … just start to think about that form the implication was for housing and how much money is out there and it’s not going down. People are still moving here. Earlier there was a topic about which fore closable areas are there? Now I’m interested. Now I’m going to check out all the laws in LA county and find out why and how if I was going to do term sales, which we don’t do. So, it all starts with the cool stuff like that. For whatever reason the show does really well and it’s easy for us to do. We record all the shows, usually on Thursday mornings really early before our real day starts and it’s a probably two hour time commitment maybe three hour time commitment for a week for us and it seems to be paying off. Actually it’s paid off really well. Steven Butala: So whatever your niche is there’s lots of different types of stuff out there. We have a … there’s one of or guys in our group and he’s amazing at making videos with graphics and the whole thing and that’s his thing and he sells every single piece of property because he’s got a huge following on YouTube. Actually more than one of our people in our group. Jill DeWit: I think we covered them. I love it, but videos are the best that’s the latest things we all know that … videos. You know what I’m going to say? Videos are the best and short videos are the best. Steven Butala: There are examples of good ones and bad ones on our YouTube channel by yours truly. 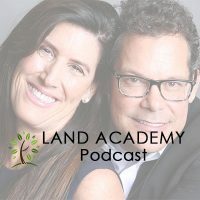 Well you’ve done it again You’ve spent another 15 or 20 minutes listening to the Land Academy Show, just us next time where we discuss “Task Ritual Make or Break Your Real Estate Investment Success”. Did he say rituals? I mean rituals. Jill DeWit: And answer your questions posted on land investor dot com it’s free. Jill DeWit: Share the [inaudible 00:21:39] button on describing Itunes or wherever you are listening. And while you’re at it, please rate us there. Steven Butala: To buy under value property.